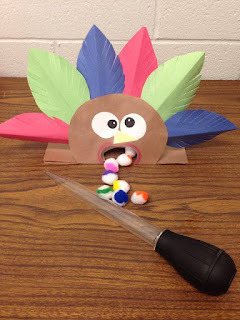 - Squeeze the turkey baster to puff out air and blow the pompoms into the turkey's mouth! - Fun and exciting game to work on hand strengthening, hand endurance, bilateral coordination, visual-motor skills, and motor planning. Color, cut, paste activity with FREE printout here! Step by step instructions included. - A simple color, cut, paste activity that can be done with children from K-5. 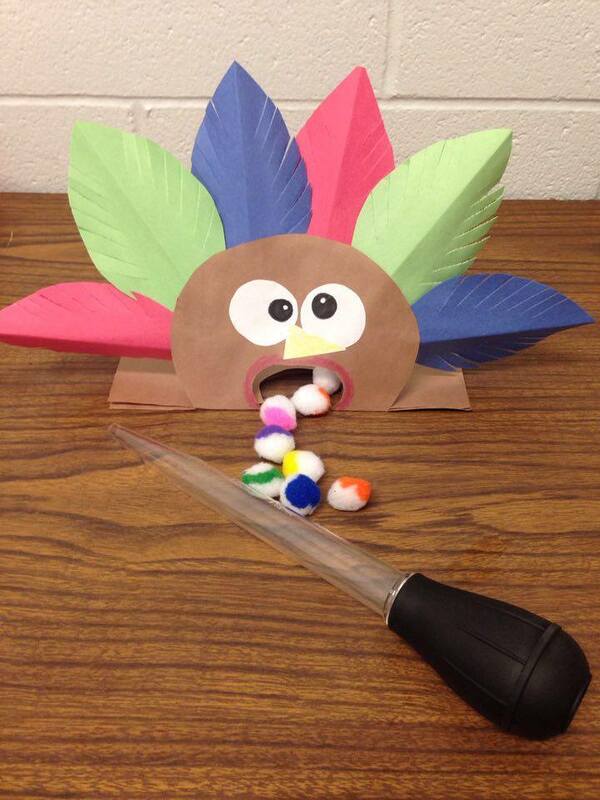 Have them complete all the steps to put together the turkey. 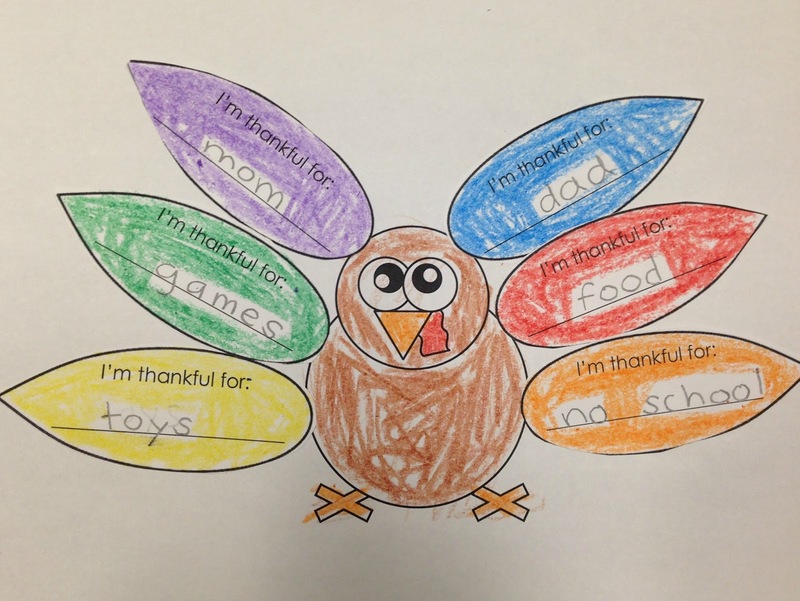 Works on handwriting skills, coloring, cutting, organizational skills, and following directions. - The activity incorporates fine motor, graphomotor, bilateral coordination, visual motor, visual perceptual, and following direction skills. 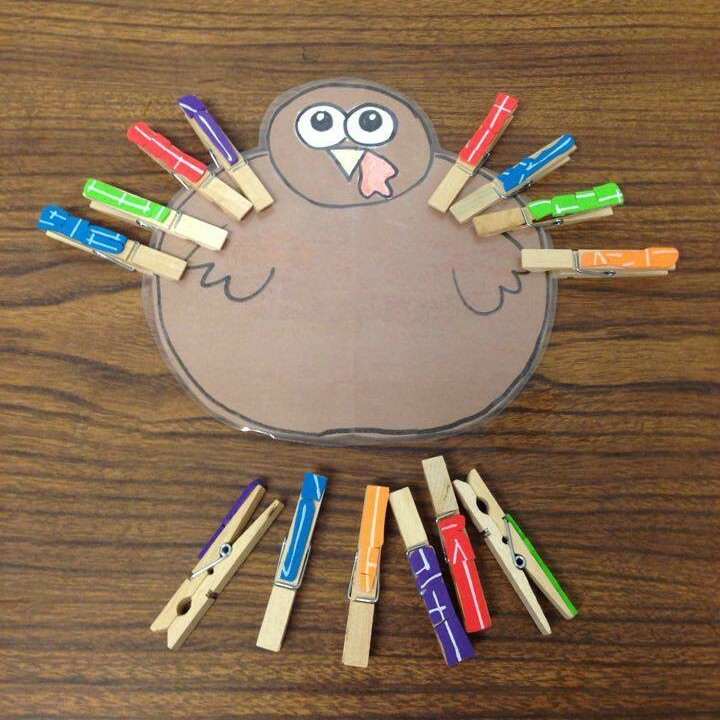 - Have the child 'give the turkey feathers' by clipping on the clothespins and when they're done 'pluck them' all off. 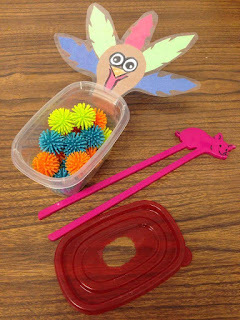 - Works on fine motor skills, finger strengthening, bilateral coordination, using stabilizing hand, and using pincer grasp. - Great for younger children in Pre-K or students with weak grip strength. 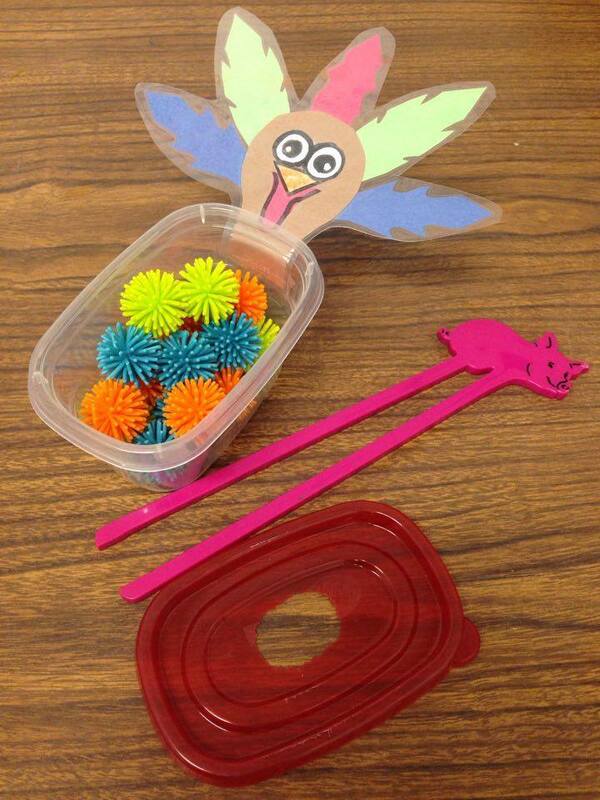 Works on hand strengthening, fine motor coordination, grip strength, grasp.